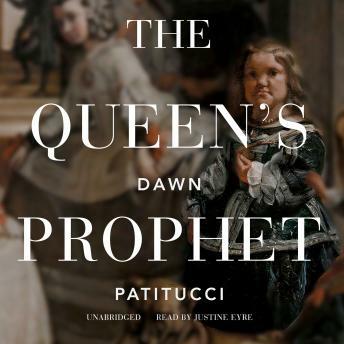 Inspired by Velázquez's baroque masterpiece, Las Meninas, The Queen's Prophet is an imagined account of the dwarfess Maribarbola of Spain (featured prominently in Velázquez's painting) and her struggle for survival and self-determination at a time when dwarfs were kept by aristocracy as pets, prophets, and good-luck charms.When the Countess of Walther dies at her German estate, her loyal dwarfess Maria-Barbara is forced to work as a prophet for a traveling magician, who betrays her by selling her to the queen of Spain. At the royal court in Madrid, Mari finds herself in a bizarre, enchanted world, a society culturally splendid but intellectually isolated. There she becomes Maribarbola, prophet to the queen, and, her survival at stake, endeavors to outsmart the Spaniards.Mari's wits and loyalties are tested as she becomes embroiled in palace intrigue alongside the politically embattled queen. When Mari's carefully schemed prophecies dazzle all of Spain, she and the queen climb to dizzying heights of power, a place as intoxicating as it is dangerous. But even as Mari survives and thrives at the Spanish court, the loss of identity she suffers from living a lie makes her question whether she is really surviving at all.